Hey guys! February is slowly but surely coming to an end and it's been a really nice month thus far I have to admit. I went to Berlin for the first time, had a friend fly in to see me whom I haven't seen for years and since she left yesterday I decided to go see my mom. I have not seen her since September I think, so it was about time! But from Monday I'm back to work and my little vacation is over. Sometimes it's good to just take some days off, go out to eat at your favorite places, catch up on emails, or reading or whatever it is that you feel like doing. Originally, I wanted to call this post 5 Things Pink, but then it ended up being more than 5 so I just changed it to February Favorites. I do hope you will enjoy this post about my favorites of the month, and that you will share yours! 1. 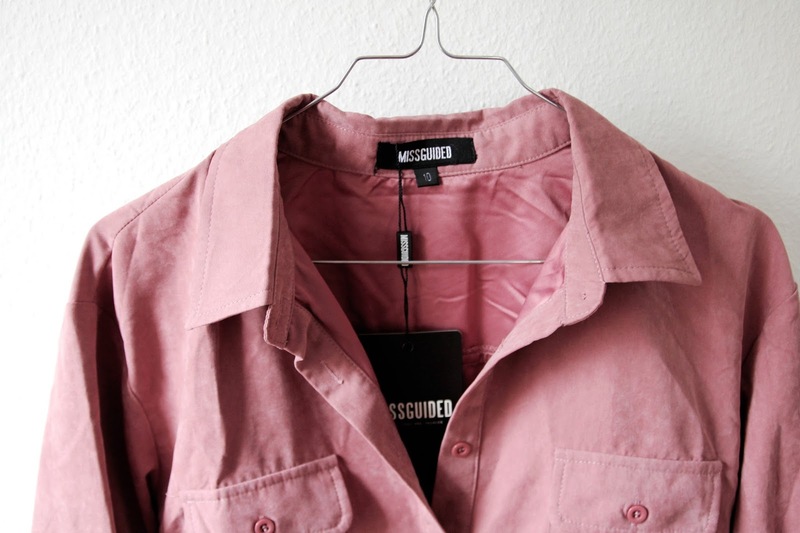 A new pink playsuit gifted from Missguided, which I cannot wait to wear when it gets warmer. 2. 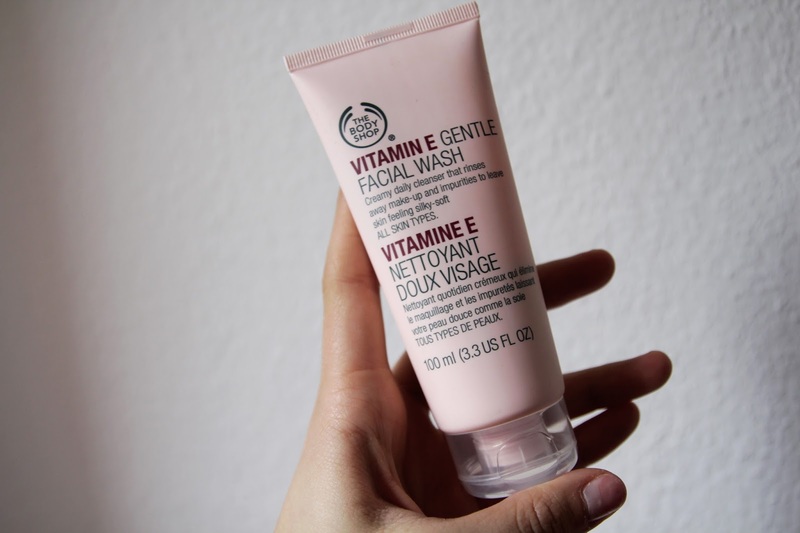 The Body Shop Vitamin E facial wash. I use this in the evenings after removing makeup and it's so gentle and moisturizing. I really love it and recommend it to you guys. 3. New candle from H&M Home. This one smells like spring so I'm gonna waiting a few more weeks till I start burning it. 4. 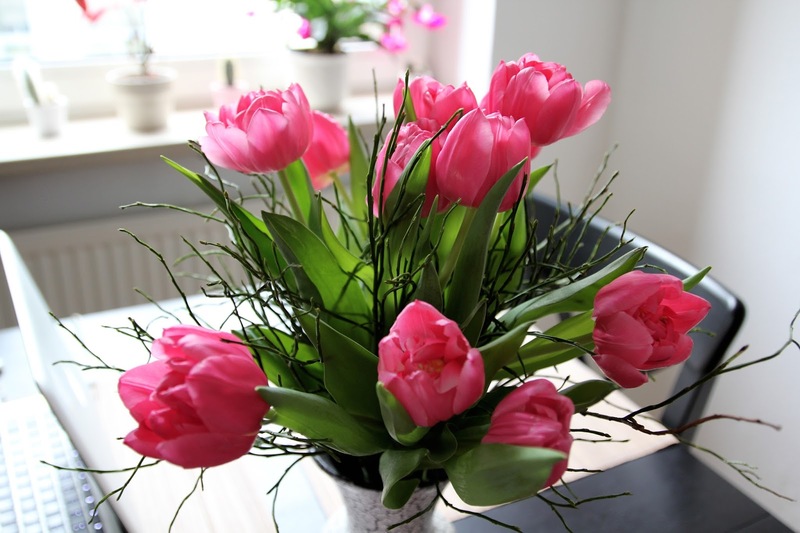 Pink tulips. A new flower place opened up just around the corner of our street, so now fresh flowers will be even more often at our home. 5. Two bargains I scored at sales a couple of weeks ago. Again for spring and summer season but it's getting closer! 6. 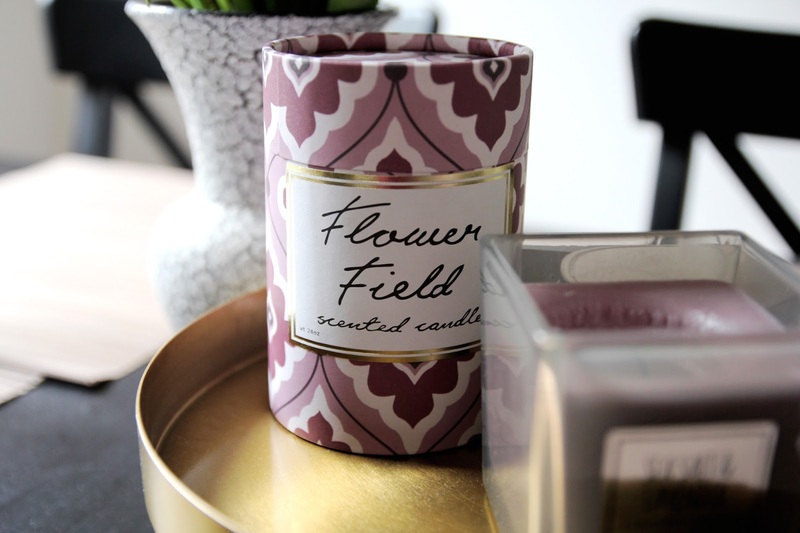 Another candle from H&M Home, this one is sooo good! 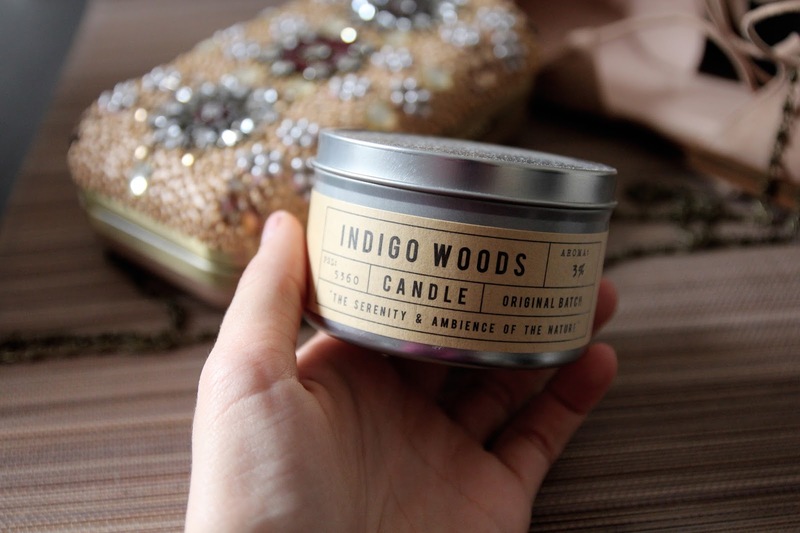 Has quite a strong smell but it's exactly the kind of candle scent I like.